Circa 1890. 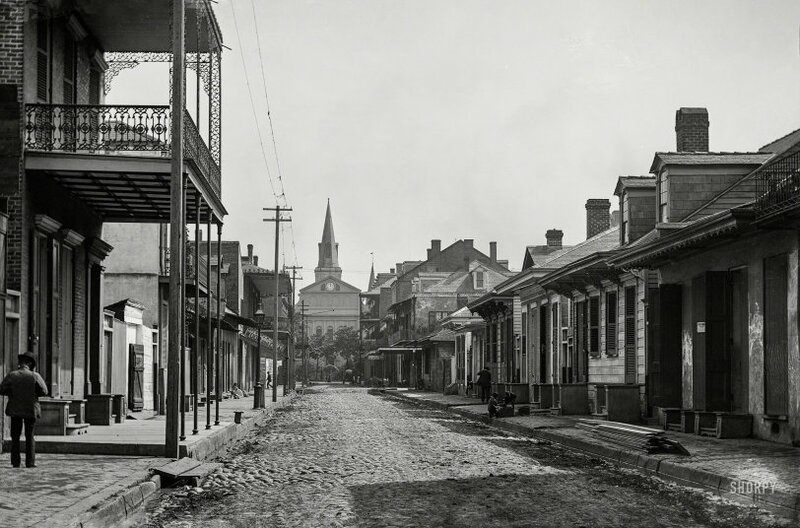 "Street in New Orleans near Cathedral of St. Louis." 5x7 inch glass negative by William Henry Jackson. View full size. Submitted by Carrie Leigh on Thu, 03/21/2019 - 11:25am. This area of New Orleans is such a time capsule! It has hardly changed at all. Submitted by KidClick on Wed, 03/20/2019 - 9:35pm. Submitted by indydad on Tue, 03/19/2019 - 4:03pm. Interesting that Mr. Jackson didn't call out the name of the street in his caption. Maybe to prevent confusion? Since the Cathedral faces the Mississippi across (Andrew) Jackson Square, you are seeing the back of it. 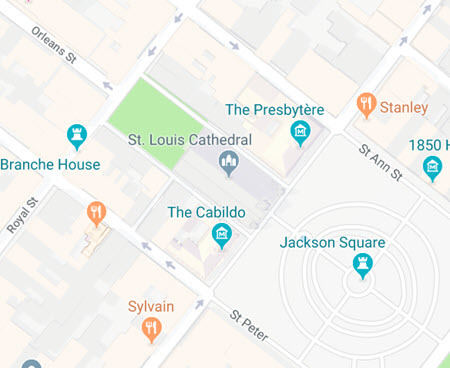 The street that dead-ends behind the Cathedral is Orleans Street.